Meeting with NASA managers and aerospace officials at the agency’s Marshall Space Flight Center last Tuesday, Vice President Mike Pence, chairman of the revitalized National Space Council, said failure is not an option. 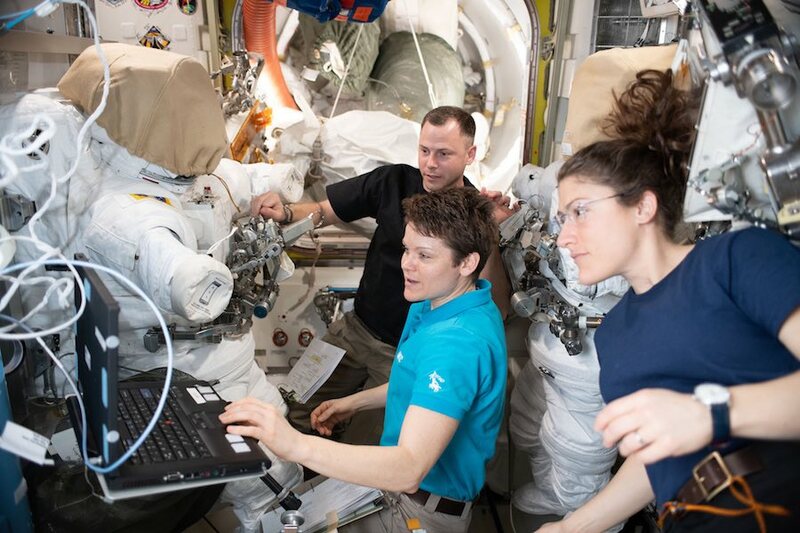 The three NASA astronauts currently aboard the International Space Station — Nick Hague, Christina Koch and Anne McClain — were born well after Apollo 11 astronauts Neil Armstrong and Buzz Aldrin stepped onto the lunar surface 50 years ago this July. But they will be in the prime of their careers when NASA selects the next round of astronauts bound for the moon. Assuming, of course, the agency can meet the Trump administration’s ambitious schedule. 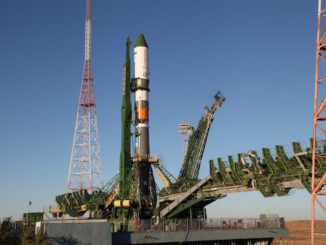 “That was a really exciting announcement for our country and for the space program as a whole,” McClain told CBS News in an interview from orbit Monday. Whether NASA’s can pull off such a feat in just five years without a major budget increase appears doubtful. But Hague said simply setting such an ambitious goal was good for NASA and the nation. “I think it’s an exciting time to be involved in space,” he said. “I think it’s inspiring, and it should hopefully get more people involved in space, get more people interested in seeing the benefits that we’re making on a daily basis here on the space station and also the benefits that will come from trying to reach that goal. 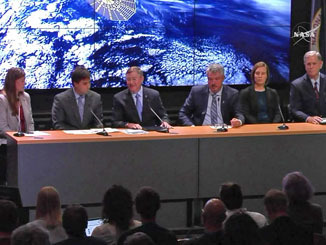 Asked if the five-year goal might put NASA under enormous schedule pressure, the sort of pressure that might lead the agency to cut corners at the expense of flight safety, Hague said he was confident the agency will execute the program safely. The Trump administration already had established a return to the moon as the focus of NASA’s deep space exploration program in Space Policy Directive No. 1, signed by the president in December 2017. But even that poses a major challenge given NASA’s current budget and on-going problems developing the National Launch System — SLS — mega rocket needed to boost Orion crew capsules, habitation modules and, eventually, lunar landers to the moon. NASA Administrator Jim Bridenstine recently sent shock waves through the space community when he said NASA would consider launching an initial Orion test flight around the moon using a commercially developed rocket if the SLS can’t meet its schedule. While NASA believes the SLS is essential to its moon plans, Pence said “we’re not committed to any one contractor. If our current contracts can’t meet this objective, then we’ll find ones that will. If American industry can provide critical commercial services without government development, then we’ll buy them. In a letter to agency employees last week, Bridenstine said a two-week study convinced him the SLS is vital for getting astronauts and equipment to the moon. 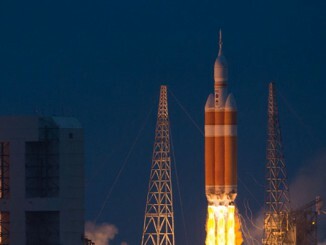 But he embraced the vice president’s challenge and assured him the agency is up to the task of getting the first SLS/Orion test off the ground next year as originally planned.